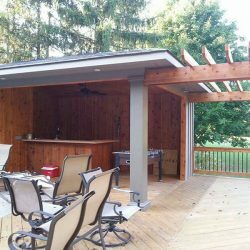 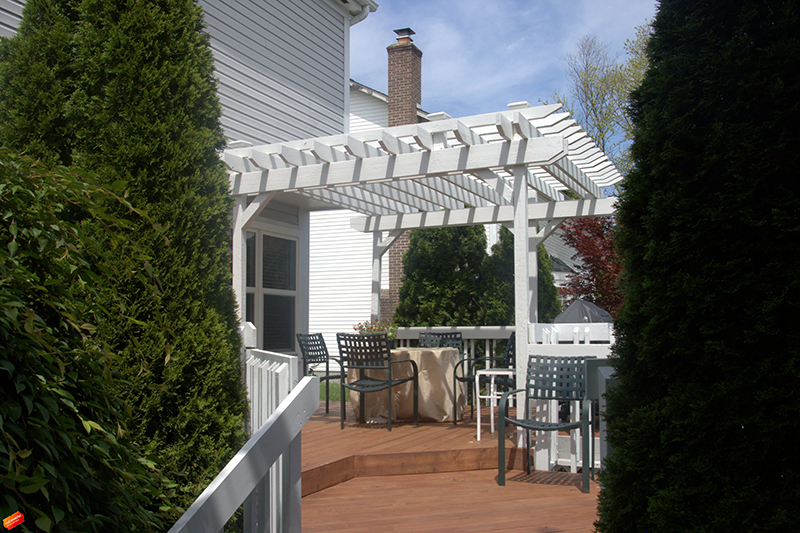 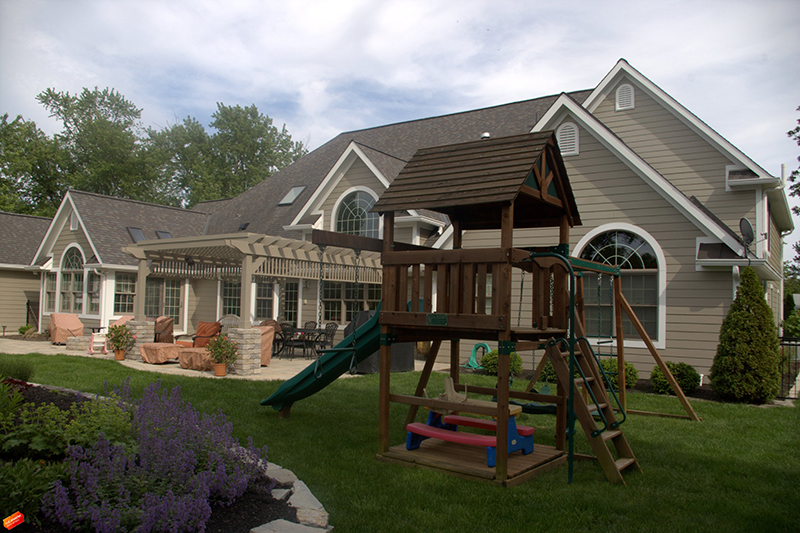 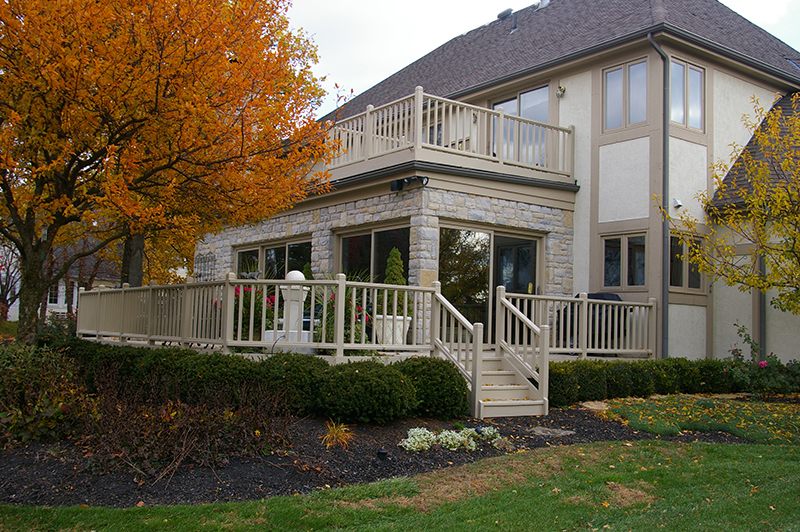 A deck is an extension of your home’s living space where you spend a lot of time during the spring, summer and fall. 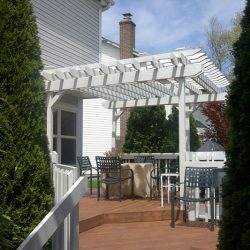 Therefore, it needs to be cared for as much as the rooms inside your home. 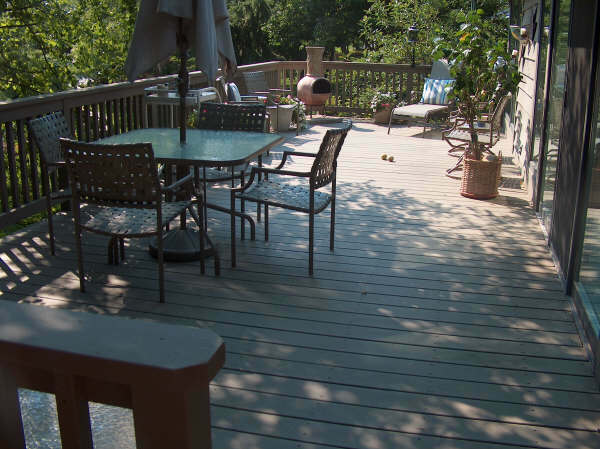 Over time, the constant assault from the Ohio elements as well as natural wear and tear from traffic patterns, furniture and pets, can cause an un-maintained deck to look like it’s many years older than it really is. 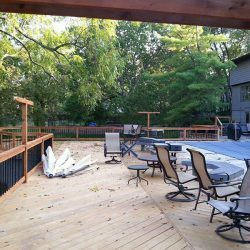 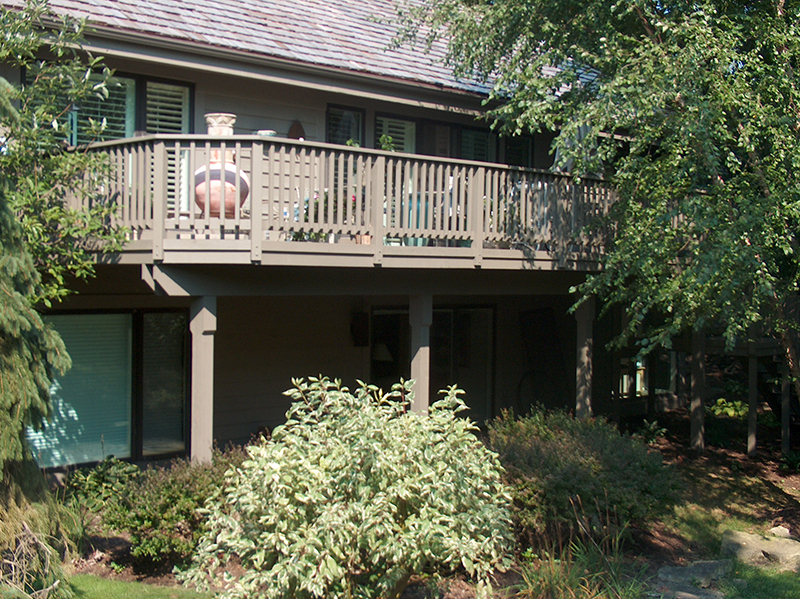 Due to these factors, wood decks require regular maintenance, but a professional team like the one that we have at MC Painting, is all that it takes to make it look good as new. 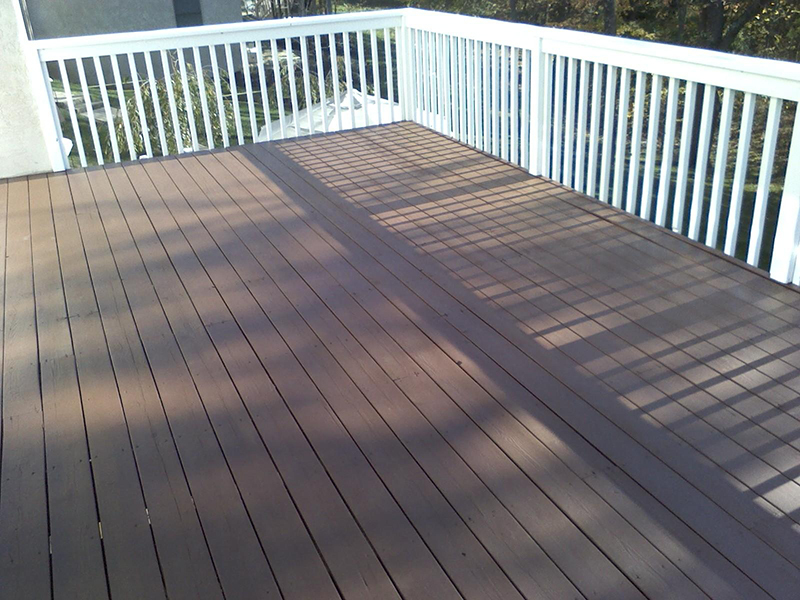 We recommend that you stain your horizontal deck surfaces (these hold most of the moisture as well as take most of the wear and tear) every 2 to 4 years. 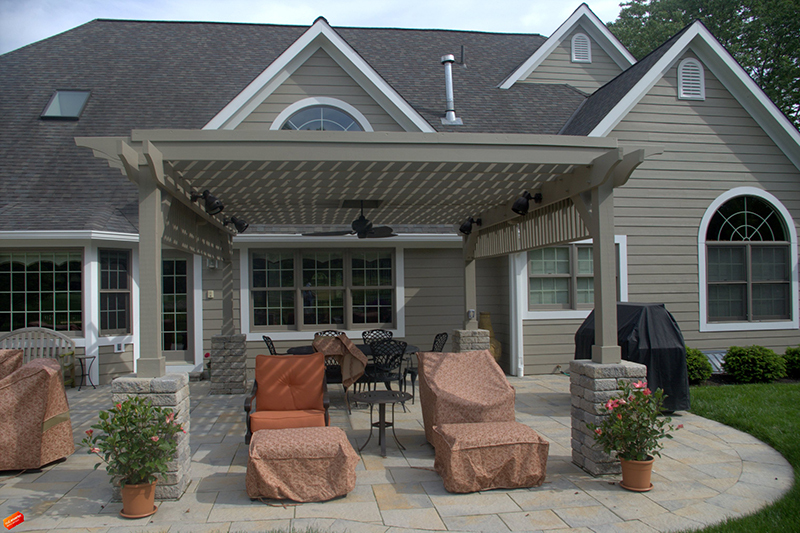 Vertical surfaces can last longer and should not need to be done as often. 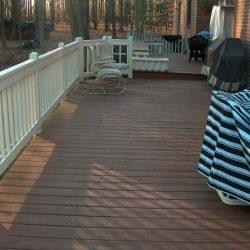 We start every deck with a power wash to remove mold and mildew as well as brighten the color. 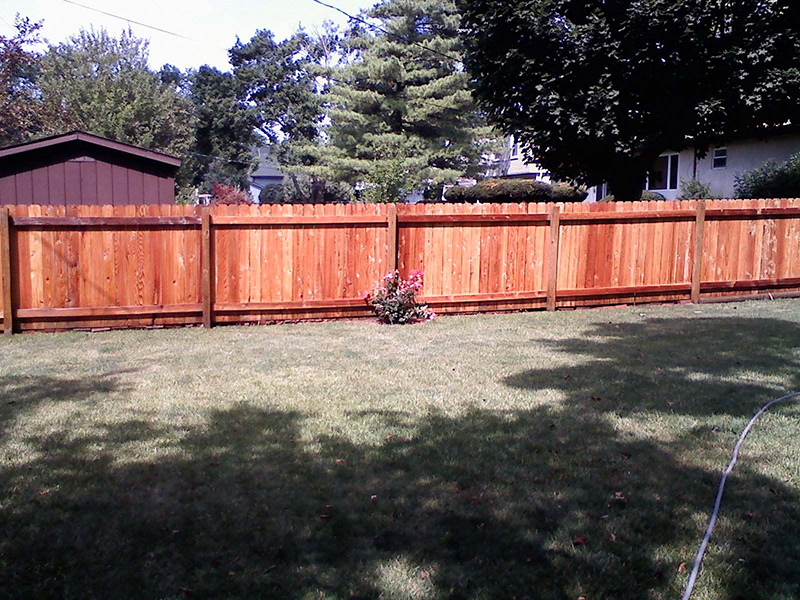 We then pound in any protruding nails and can replace any rotted wood boards. 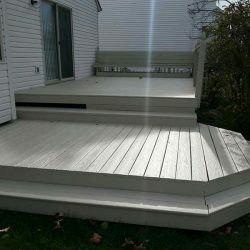 Finally we apply 1 to 2 coats of stain to your deck. 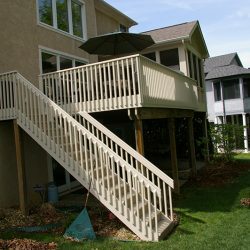 You then have 3 choices when it comes to deck protection. 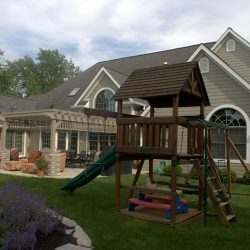 There are advantages and disadvantages to each. 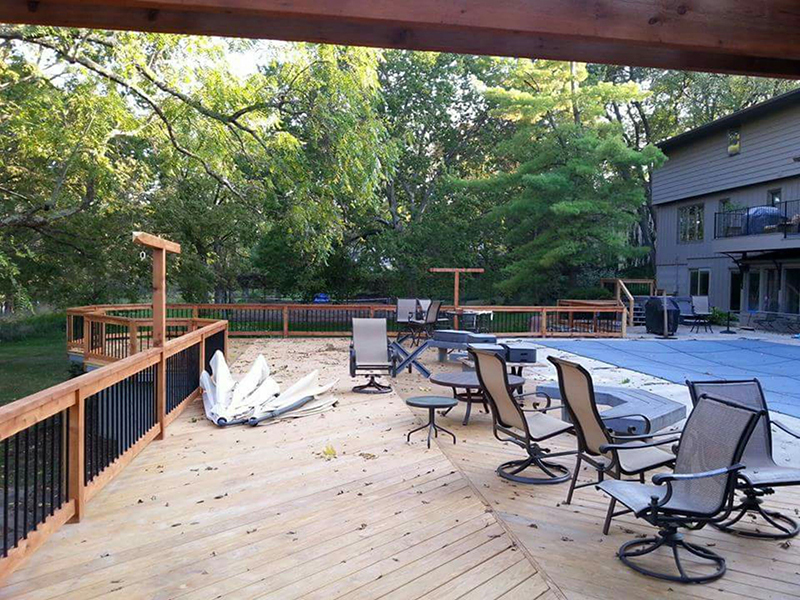 Some customers like the natural color of their wood decks. 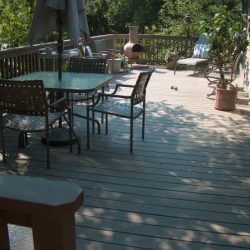 We can power wash the deck back to its natural color and then apply a sealant to protect the wood from water absorption. 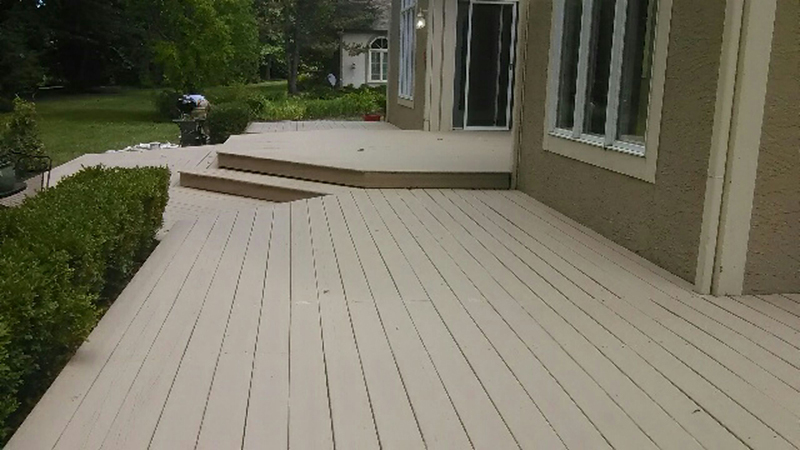 This protectant allows for the original color of your deck to stay the same without having to do much work. 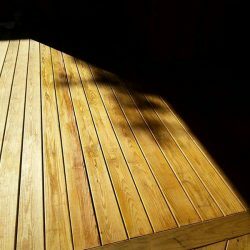 This allows you to still see the grain of the wood while stain giving the wood a color. 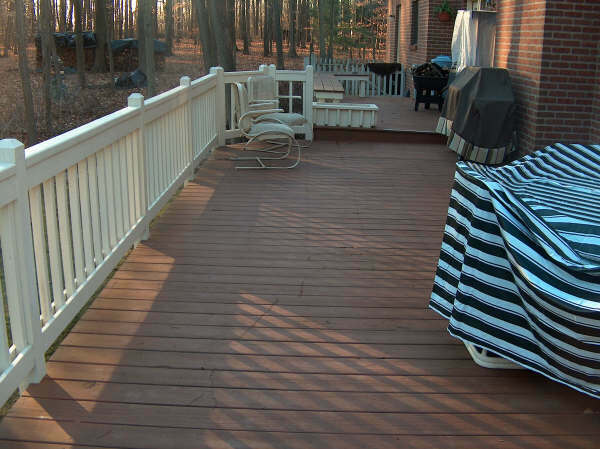 The semi-transparent stain will simply fade off over time. 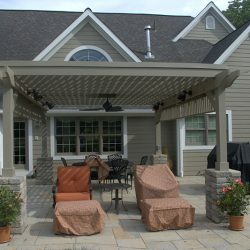 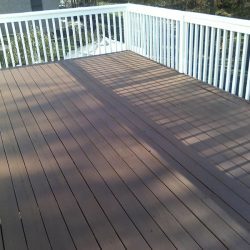 This is one of our more popular options because it offers the facelift that staining a deck provides, but it will still fade over time and lets you enjoy the natural grain of the wood. 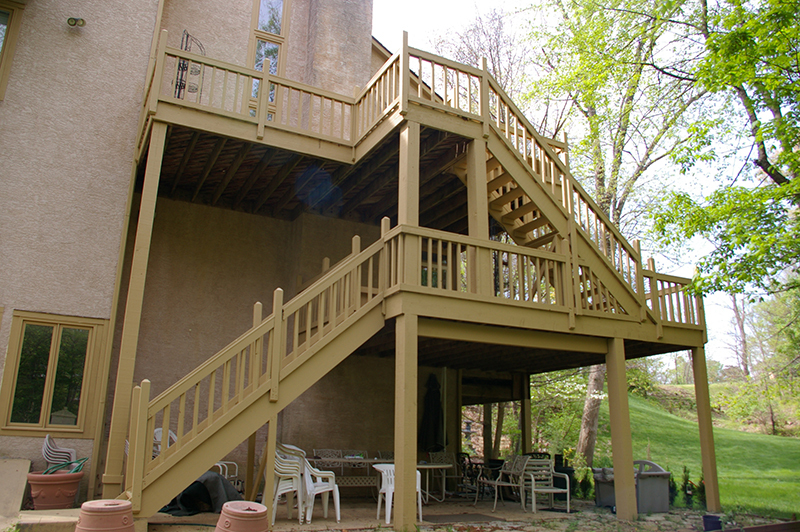 This is a good choice if you’re looking to appreciate the quality and color of the wood your deck was built with. 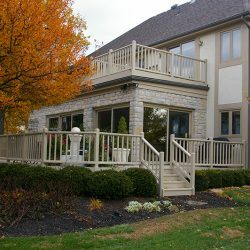 Solid stain comes in many color options, and it can be matched to your house or even your favorite team. 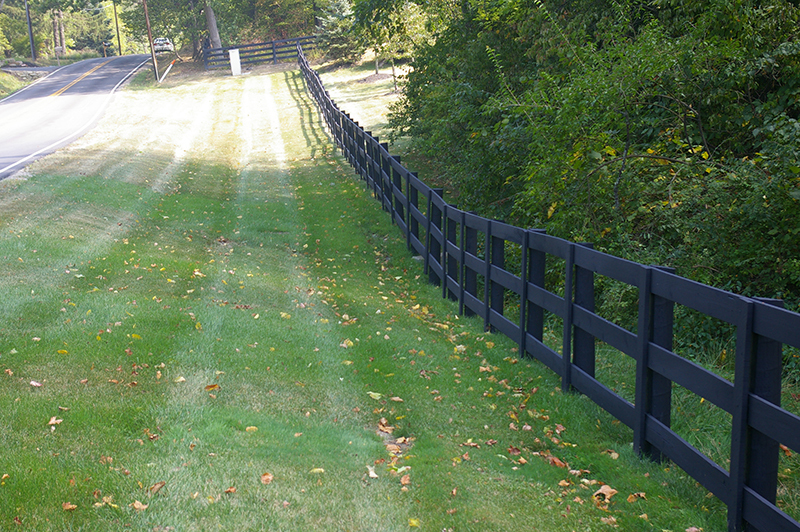 Many people often mistake it for paint. 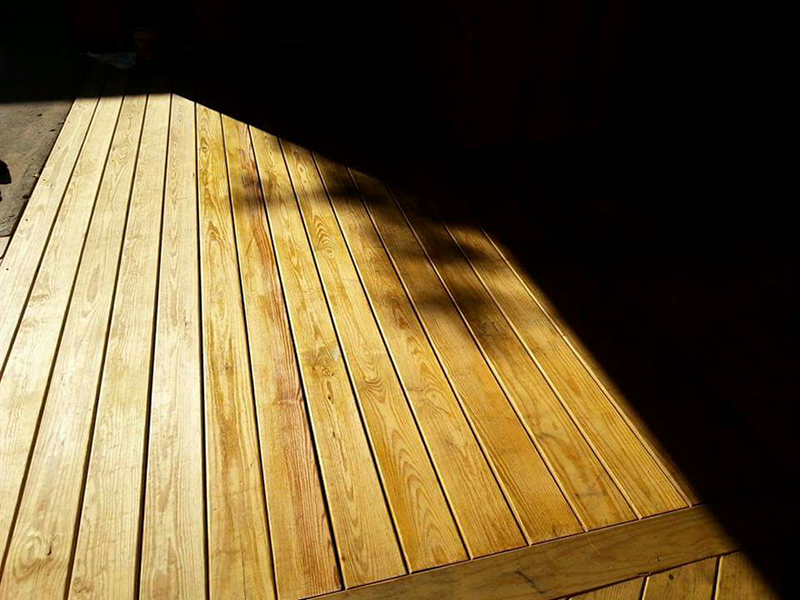 Solid stain will peel when it begins to fail, especially in high traffic areas or where wood is heavily cracked. 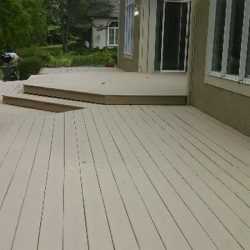 This form of deck staining is great when you are set on a certain look or color scheme for your deck. 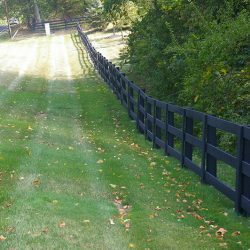 Fences cost a considerable amount of money to install, so you want to protect yours with regular washing and staining maintenance. 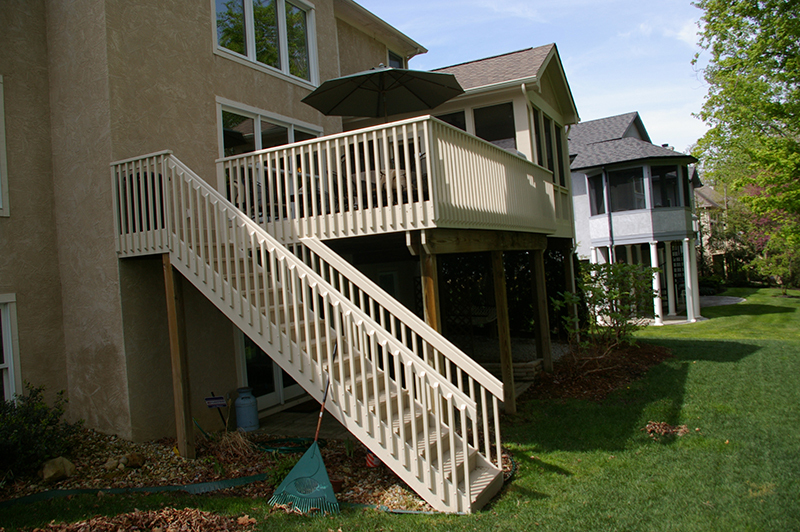 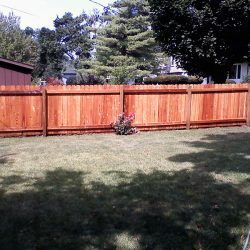 We can apply the same 3 applications on your fence that are mentioned above in the decking section above. 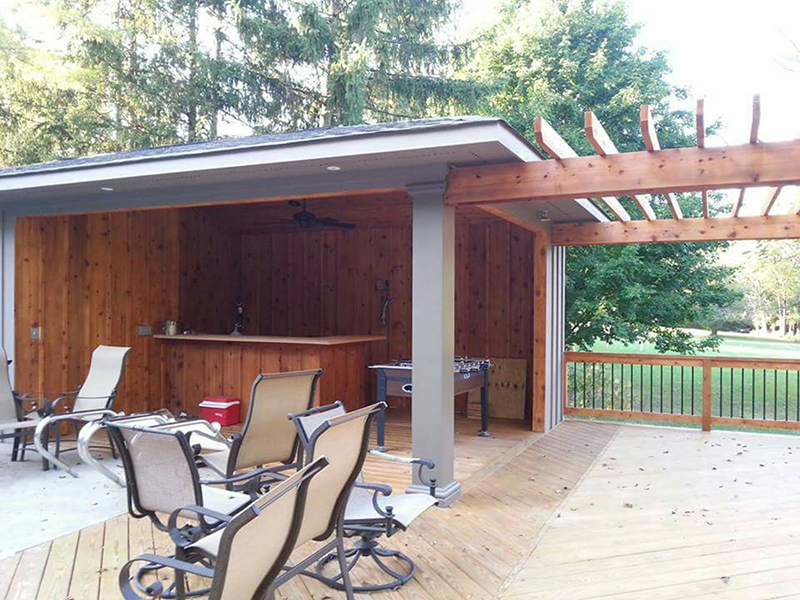 Take your weekends back this year! 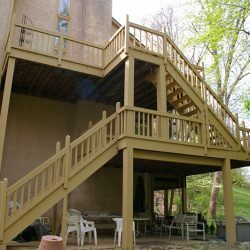 Let our professional painting crews take care of maintaining the outdoor space you love while you spend time enjoying it! 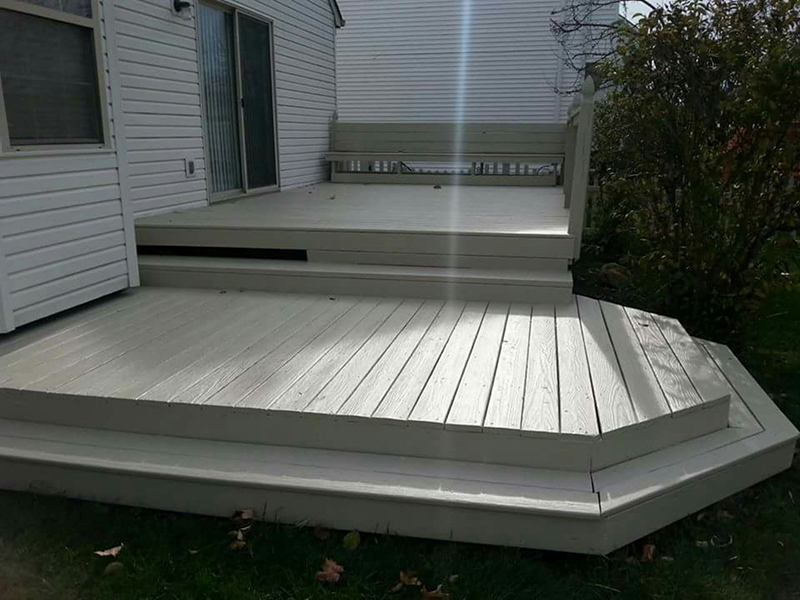 Give us a call or request a free quote through our website today!